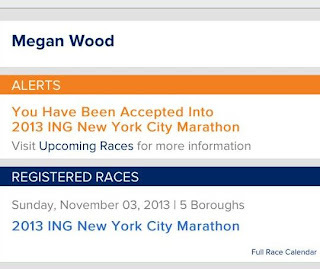 In three weeks, I will be leaving for NYC to run the ING New York Marathon. I have no idea how this date snuck up on me so fast and will be the first to admit that I am not ready for this prestigious race. I had many months to train for the New York Marathon. I have sleepless nights where all my thoughts go to those who deserve the chance to run this 26.2 over me. Did I train according to the schedule placed on my outlook calendar? Unfortunately not. An engagement and daily summer storms along with self doubt (plus any other excuse one can generate) overtook my schedule. I am not dedicated enough to train for a full marathon - honestly, I don't have the time for it week after week. I get a lot of flack from my friends but here is how I get through it. I received the best advice from my future husband during our 13 mile run this past weekend. When I say 13 mile run, I want you all to realize it was more like an 8 mile run and a 5 mile whine walk (why wasn't it a wine walk??). Gabe said to me - do not think of it as 13 miles. Think of it as 6.5. I looked at him with 10 heads and he states, if you have gotten to 6.5, you have no choice but to finish 13 since we are that far away from the house. And he was right. For the first time in my running life, I did not hate 13 miles. This could have a great deal to do with the fact I have to double that distance in there weeks....but at least I am more positive. I feel the same way right now about my half in Houston on Oct 27th... But...I decided to stop freaking out about it and just remember that I love running. I can handle it and if I don't PR or do it without walking - all will be OK. I think sometimes we just expect so much of ourselves that we put too much pressure on us. 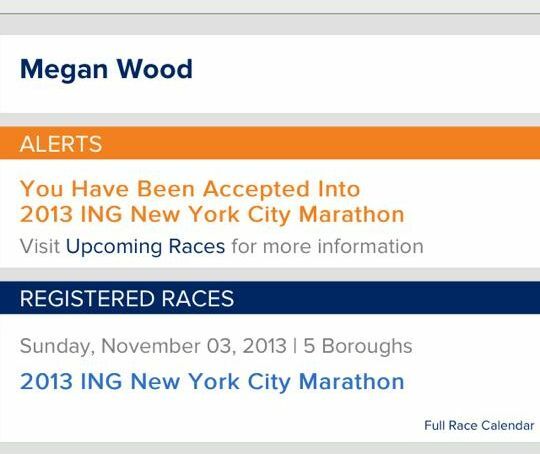 Running thu the streets of the fabulous NYC will be amazing...no matter what happens. And YES, you do belong in that race. Soak it up, enjoy and remember to have fun!